This is a document presented to the client by the service provider. Roofing is a very important aspect of any building, whether it is residential or commercial. When you require roofing, it is very important to hire qualified contractors. Once you have invited them, they will assess your roof and furnish you with roofing quotation. It is very important to that the quote will only be provided when the client demands it. Additionally, the clients must have it so that he or she can seal the deal. This will also help the client to compare the prices from other contractors. Therefore, with the help of a roofing quotation template as a guide, it can make things clearer, simpler, and easier. Here are some roofing quotation templates. 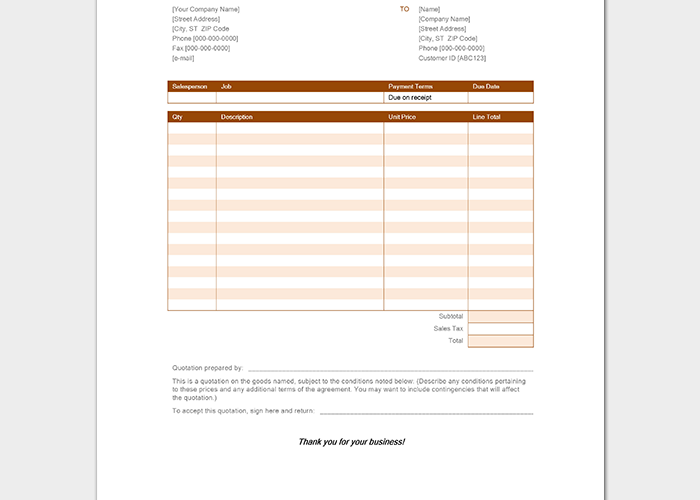 Every service provider or contractor has official letterhead to write to his or her customers. When writing this official document, make sure to include the details of the client and the charges for the job. Also, include the duration to take. The roofing quotation templates are quite often in pdf format. You can easily make changes by editing. Fill all the areas required. Make sure to include the vital details of the company and the client. It should be very professional. Roofing quote form is used to show the estimates and basic safety guidelines are strictly followed. The maintenance contractor prepares this form. The client gets it upon demand. It gives the pricing of the work to be done. A major benefit of the professional quotation template, it helps easy communication with the client. The details are well placed before the actual job is done. The client will be able to compare the prices from various contractors before sealing the deal. Generally, it shows order among the contractors.